It is very important for a good personality to have a good height,but due to the many reasons, most of the people today are getting less than average height. In today's era,poor quality of food and because of less physical efforts every person become so lazy and physically weak.Life has become so easy to work with latest life technology, but our physical and mental development stops. But Yoga is still a way with the help of which you can keep both your body and mind healthy. So in this article we are going to tell you about tadasana, if this asana is done properly then you can naturally grow your height especially children's. Let's know what is tadasana and how do this asana. Lay blankets on the floor and stand upright. Then put together both of your legs. Hold both hands straight to the waist. Keep both hands upright in the center of the waist and mix the palms. Now, bring the fingers of both palms above the head. 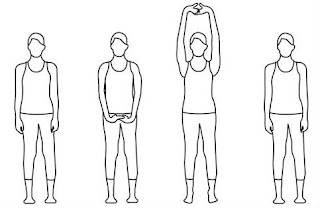 Now, stretching your hands in the air while you breathe, until you do not feel stretched in the shoulders and chest. Keep the waist straight, the eyes facing the front and the neck straight. At the same time raise the heel of the feet and stand up to the claw carefully. Now fold the hands to the top by applying a finger lock. After some time in this situation stop breathing and bring the hands back over the head. Gradually, the ankles should also be placed on the ground, bringing the two hands down and clinging to the waist, the condition of the first one is in the rest of the posture. 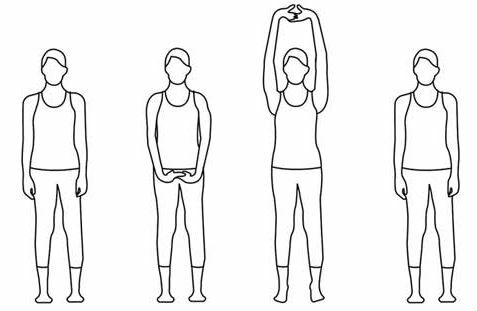 Make this posture regularly 4 to 5 time in a day,after some time and practice you can increase timing. Keep in mind that it is very important to have a good diet to get a good body, eat a good healthy nutritious diet which will give you even better results. Important Notice - Those who have serious diseases or injury in their feet, do not do this posture. Do not practice this in the pain of knee.